Mike Sagman and the staff of The Dog Food Advisor would like to recognize all who have contributed to the content of this website. 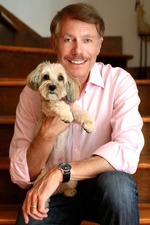 Dr. Mike Sagman is the creator and editor of the Dog Food Advisor. He is a graduate of the Medical College of Virginia with a doctoral degree in dental surgery. Mike is a past member of the surgical staff of Sentara Hampton General Hospital and the consulting staff of Bons Secours Mary Immaculate Hospital. He has been recognized and honored by the members of his profession as a Fellow of the International College of Dentists, the American College of Dentists, the Pierre Fauchard Dental Honor Society, the Academy of Dentistry International as well as the Academy of General Dentistry. Mike developed a keen interest in canine nutrition following the loss of his cherished shelter dog, Penny — because of his previously unquestioned trust in the quality of commercial dog food. Due to that tragic event, Mike has become a consumer advocate on behalf of dog owners and an expert at reading and interpreting pet food labels. Steve Brown is a nationally renowned dog food formulator and author of three popular books on canine nutrition. He is the creator of Charlee Bear® Dog Treats, one of the world’s first training products. Brown also founded Steve’s Real Food for Pets®, the first AAFCO-compliant, frozen, raw meat-based diet. He later left the company to focus on research and education. Brown has published numerous articles on canine feeding in pet related magazines, veterinary journals and leading natural health web sites. In 2006, Steve began to suspect the major weakness of most dog foods was in their fat content. So, after three years of research, Brown wrote Unlocking the Canine Ancestral Diet. He also offers an e-book, See Spot Live Longer the ABC Way. Steve is currently a consultant to and food formulator for several well-known pet food companies. 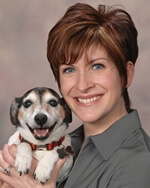 Donna Spector, BS, DVM, DACVIM, is a renowned, board-certified Veterinary Internal Medicine Specialist. Dr. Spector received her veterinary degree from Michigan State University in 1997 and completed her advanced internship training at The Animal Medical Center in New York City, New York. In addition, she completed her residency program at the University of California, Davis. Dr. Spector has practiced at other leading institutions including the Emergency and Referral Animal Hospital in San Diego, California and Fifth Avenue Veterinary Specialists in New York City. She is also an active member of the American Veterinary Medical Association as well as the American Holistic Veterinary Medical Association. Dr. Spector has written and lectured extensively on topics including animal nutrition, diabetes, gastrointestinal disorders, kidney failure and feline asthma. She is widely recognized for her role as consulting veterinarian to Halo, Purely for Pets and her TV appearances with Ellen DeGeneres. Dr. Spector is also a veterinary consultant to Tracie Hotchner’s Dog Talk® and Cat Chat® radio shows and admired for her pet health advice in both print and radio media. Dr. Spector’s online consulting service offers personalized and custom tailored medical, nutritional and weight loss consultations for owners of both dogs and cats. She provides professional advice relating to urinary disorders, liver problems, immune diseases, intestinal issues, diabetes, asthma and other breathing conditions, hormonal problems and other internal medical complaints. The Dog Food Advisor is pleased to welcome Dr. Donna Spector as a trusted veterinary contributor.